As a political science major hoping to work on a campaign, this experience was crucial to Raychel’s understanding of the political process. 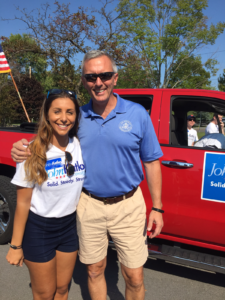 Through this internship, she gained valuable insight into how campaign ground operations are run and learned the importance of engaging with potential voters. Overall, it has inspired and motivated Raychel to continue her work in politics.